Goedknegt, M. A., Bedolfe, S., Drent, J., van der Meer, J., Thielges, D.W.
Invasive species can indirectly affect native species by modifying parasite-host dynamics and disease occurrence. This scenario applies to European coastal waters where the invasive Pacific oyster (Magallana gigas) co-introduced the parasitic copepod Mytilicola orientalis that spills over to native blue mussels (Mytilus edulis) and other native bivalves. In this study, we investigated the impact of M. orientalis infections on blue mussels by conducting laboratory experiments using controlled infections with larval stages of the parasitic copepod. As the impact of infections is likely to depend on the mussels’ food availability, we also tested whether potential adverse effects of infection on mussels intensify under low food conditions. 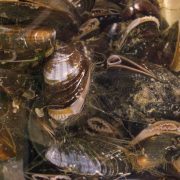 Blue mussels that were experimentally infected with juvenile M. orientalis had a significantly lower body condition (11–13%) compared with uninfected mussels after nine weeks of infection. However, naturally infected mussels from a mixed mussel and oyster bed did not significantly differ in body condition compared with uninfected mussels. 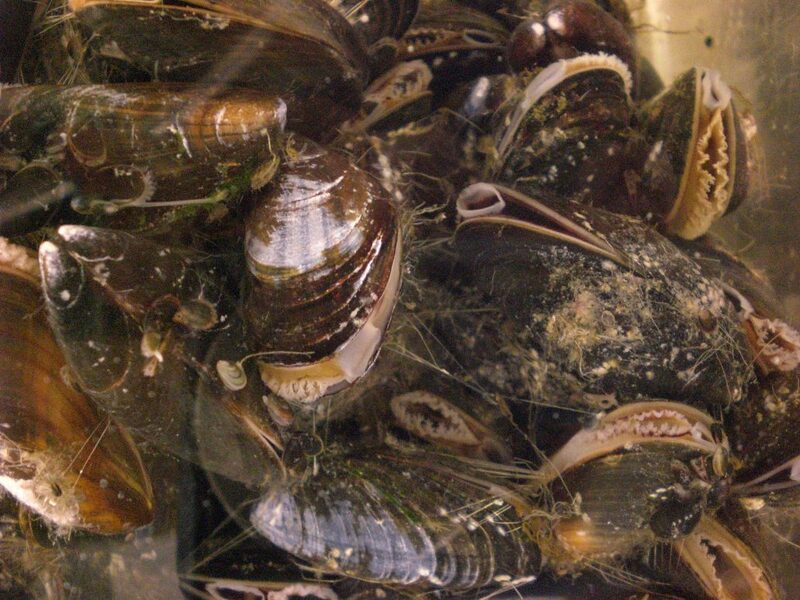 Contrary to effects on mussel condition, we did not find an effect of experimental infections on clearance rates, shell growth or survival of blue mussels and no clear sign of exacerbating effects of food limitation. Our study illustrates that invasive species can indirectly affect native species via parasite co-introductions and parasite spillover. The results of this study call for the integration of such parasite-mediated indirect effects of invasions in impact assessments of invasive species.